Get Games, Loot Boxes, Card Packs, Services and More. 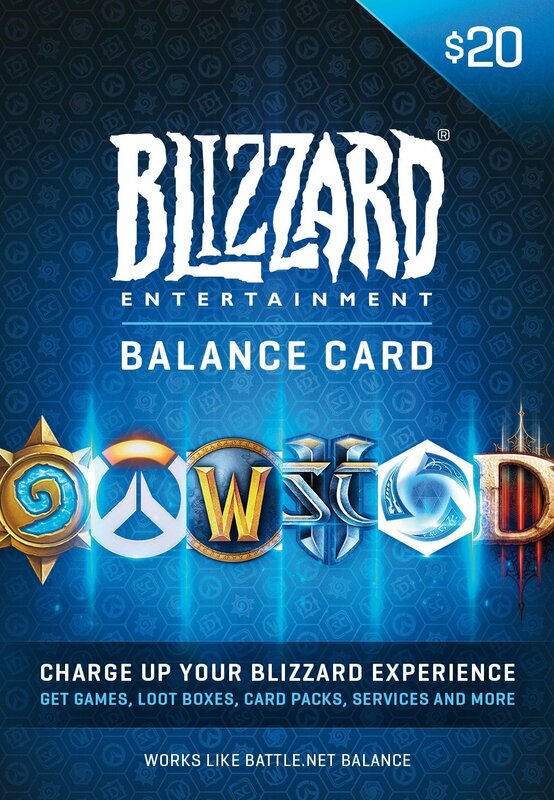 Use your Blizzard Balance to buy Blizzard Games, items and services digitally or gift this to a friend to be enjoyed on their game of choice. Your Blizzard Balance can be used to buy items and services like the items shown below in all of your Favorite Blizzard Franchises! Attention: This product can only be activated on U.S. Battle.net accounts. This products adds $20 (twenty dollars USA) to your Battle.net account upon activation of the product key. Download the game and enjoy!